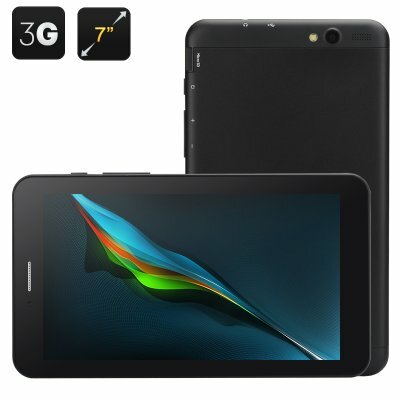 Successfully Added Ainol AX3 Sword Tablet - 7 Inch Display, 3G, MTK8382 Quad Core CPU, Android 4.2 OS, OTG to your Shopping Cart. The Ainol AX3 Sword Tablet has a 7 Inch Display, 3G support, a MTK8382 Quad Core CPU, OTG support and Android 4.2 operating system. The Ainol AX3 tablet has a 7.0 inch IPS screen and MTK8382 quad core CPU. It supports Wi-Fi/3G, phone calls, dual SIM card dual standby and has built-in dual cameras. With this kind of tablet, you can enjoy watching videos, playing games as you commute to work in an Android environment. Equipped with a 7.0 inch IPS screen with the resolution of 1024x600 pixels, the Ainol AX3 will bring you a wonderful visual enjoyment when watching videos, playing games and browsing pictures. Meanwhile, the capactive touch screen will give you a more comfortable experience when operating and viewing. Supporting a 3G network and phone call functions, this can support up to two SIM cards in dual standby, so you can connect to either 2G GSM 850/900/1800/1900 or 3G WCDMA 2100 bandwidths. With this ability, users can use this Android tablet to surf the internet, play games and keep phone contact with friends at the same time. Also this quad core tablet is equipped with 0.3 megapixel and 2.0 megapixel dual cameras that is convenient for video chat. Inside the Ainol AX3 is a 28nm MTK8382 quad core processor, which is based on a Cortex A7 architecture. Therefore it has a more outstanding performance and lower power consumption. Plus there is a Mali 400 GPU hidden on the frame, which has a strong graphics rendering capabilities and can fluently and smoothly run 3D games that you may have downloaded from the pre-installed Google Play store. Do more and see more with the AX3 7 inch Android quad core tablet from Ainol.